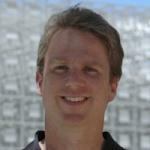 Owen has been contributing to Apache Hadoop since before it was called Hadoop. He was the first committer added to the project and has provided technical leadership on MapReduce, and security. Using Hadoop, in 2008 he set the world record for sorting a terabyte of data in 3.5 minutes and in 2009 he sorted a petabyte in 16.25 hours. He was also the founding chair of the Apache Hadoop Project Management Committee. For the last year, he has been working on Hive. He has a PhD in Software Engineering from the University of California, Irvine. Owen may be followed on Twitter: @owen_omalley.